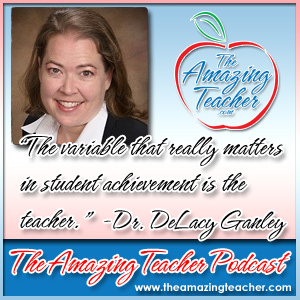 This week, my guest is Dr. DeLancy Ganley. Dr. Ganley is the Director of Teacher Education at Claremont Graduate University. Twenty-five years ago, I was a student at Claremont Graduate University. CGU is where it all began for me in education. I thought it would be a good idea to go back to my old school and see what’s happening now in teacher education. I contacted Dr. Ganley, and she was so awesome to let me pick her brain about teaching and education. It was great going back to CGU. Walking around the campus brought back so many cool memories. It was really hard to believe that 25 years had passed. Sitting down with Dr. Ganley was amazing and inspiring. 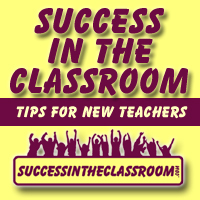 She offered some great advice for new teachers as well as for soon-t0-be teachers. Dr. Ganley shares on the podcast that the most important variable in student achievement is not policy nor financing. The most important variable is the teacher, and it doesn’t matter who the students are. Dr. Ganley assures new teachers that the first year may be difficult, but the second year will be easier – just hang in there. I had such a great time speaking with Dr. Ganley. She is truly an amazing educator who is really making an impact on today’s education. I know you will find great inspiration in what she shares on the podcast.